zFTPServer Suite is the perfect FTP server to install at home or in a company to be able to easily share whatever we want without any problems. Although the FTP protocol may be somewhat outdated, it can always come in handy and help us to easily share data and files. 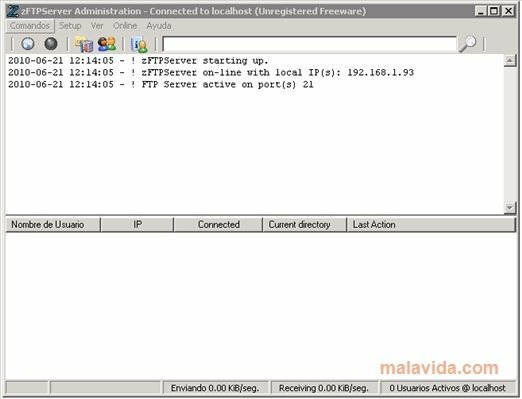 Despite the fact that on many occasions FTP servers can be somewhat complicated, zFTPServer Suite allows us to configure whatever we want, from the ports, directories and shared folders to the users that can access and their privileges. 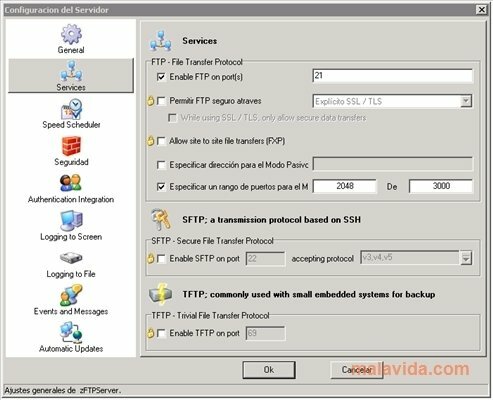 Thanks to zFTPServer Suite it's possible to have an FTP server to mount on any computer and have it on for a certain period of time that can range from a few minutes to permanently, because it works like any other Windows software application. Furthermore, its graphical interface is perfect for those users that don't want to make things too complicated and only require to have the functions of an excellent FTP file server. 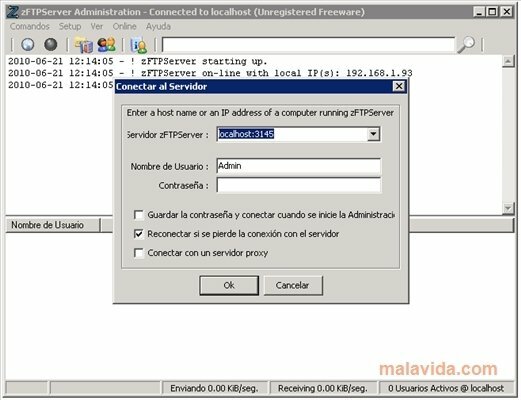 So, if you want to mount an FTP server, download and try out zFTPServer Suite as soon as possible.